This box is the transcript of the audio interview of Antonia Baehr on Scores on this page. Comments of the audio interview of Antonia Baehr on Scores on this page. Baehr explains that working with scores started in fact already with Holding Hands. 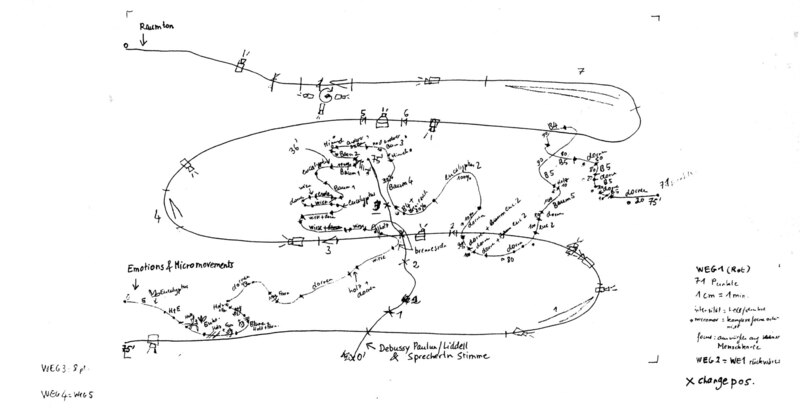 She sketches the context of working collaborations with William Wheeler, the system of alternating roles of leading and the need to devise collaboration differently through working with scores. Holding Hands was part of a trilogy together with Un après-midi and The Misses and Me. Baehr surveys the general theme of the trilogy: a research on emotion and the effect on the audience. Description of the score of Holding Hands, based on an aria of Maria Callas in concert at Convent Garden. The entire aria is used, from ouverture to the applause by the audience. The score shows in four sections four reworkings of this aria, isolating every time different parameters. This box adds images to your listening of the interview. This box links the interview to related materials. 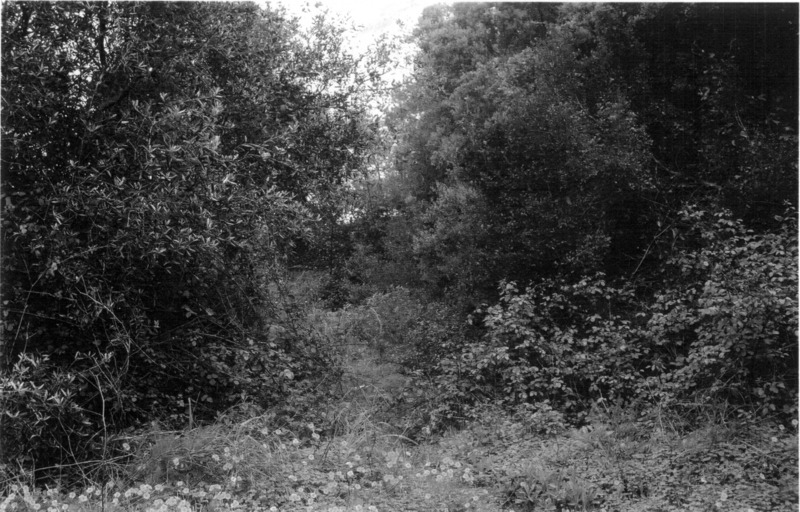 Petra Sabisch’s essay reflecting on Antonia Baehr’s and Henry Wilt’s performance Un après-midi. ZARRILLI, Phillip, (ed. 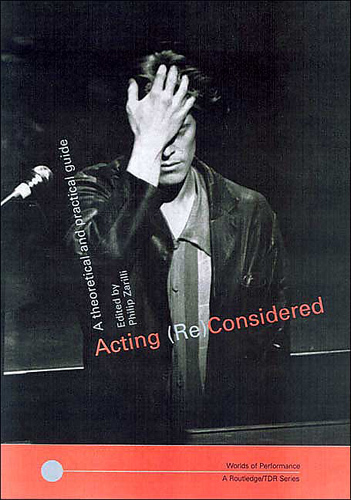 ), Acting (re)considered: A theoretical and practical guide, Routledge, New York, 2002.